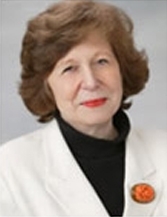 Elizabeth Protti-Patterson, Au.D. (NJ HA #547, PA #496), has a master of science degree from the University of Oklahoma Medical Center and a doctorate of audiology from Salus University. 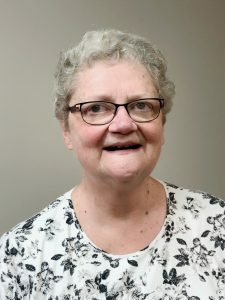 With over 35 years of experience in the area of audiology, she has developed an expertise in the areas of hearing aids and diagnostic testing for all age clients. In addition, she has developed a reputation in her skills as a pediatric and educational audiologist — maintaining a high level of expertise in central auditory processing testing and assistive auditory devices appropriate for the classroom setting. Infant hearing testing programs and subsequent follow up testing, including hearing aid fittings, are an integral part of her work experience. 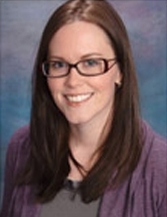 Ms. Patterson presently holds her Certificate of Clinical Competency in Audiology and is a Fellow of the American Academy of Audiology. She has published widely in the areas of auditory processing disorders and continues to pursue her expertise in this area. She works both from Voorhees and Philadelphia. Dr. Patterson is a licensed audiologist and dispenser in both PA and NJ, practicing in NJ. She is the owner of REM Audiology. She has a speciality in tinnitus management. Kathleen Prout Young, M.S., CCC-A (NJ 41YA#000055 / 25MG#000513, PA #496) is a graduate of Ithaca (NY) College where she received both her Bachelors of Science and Masters of Science. She has a Certificate of Clinical Competence in Audiology from the American Speech and Hearing Association. She has more than 35 years experience in Audiology including routine Audiologic evaluations and hearing aid work. Kathy has conducted programs in aural rehabilitation for patients recently fit with Hearing Aids. Much of Kathy’s experience has been obtained in medical settings including administering ABR’s, ENG’s and OAE’s and she has a strong background working in area school systems with Child Study Teams. Ms. Young is a licensed audiologist and hearing aid dispenser in NJ. She concentrates upon the geriatric clients and focuses upon nursing homes and assistive living facilities. Jessica Atkins, Au.D., CCC-A (PA #496) received her Bachelor’s Degree and Doctorate of Audiology from Bloomsburg University. Her clinical training was performed in Northeast Pennsylvania specializing in diagnostic testing, hearing devices, and rehabilitation for pediatrics through geriatric populations. Dr. Atkins has also had clinical rotations working with ENT physicians and private practices evaluating and treating all populations. Her main interests include the diagnosis and management of hearing disorders and auditory processing testing. She is currently licensed in Pennsylvania and holds a Certificate of Clinical Competence from the American Speech-Language Association. Dr. Atkins is a licensed audiologist in PA and a licensed hearing aid dispenser in PA and NJ. She concentrates upon adult and pediatric patients. 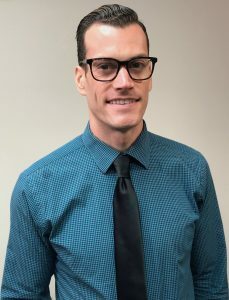 Cory McNabb, Au.D., CCC-A (PA #AT006360, NJ #41YA00088500), received his Bachelor’s Degree, Master’s Degree, and Doctorate of Audiology from the University of Pittsburgh. 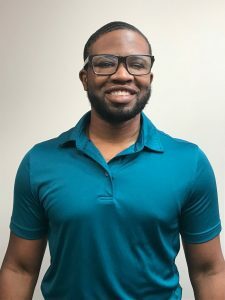 His clinical externship was completed at the University of Miami Mailman Center for Child Development in Miami, Florida, where he performed newborn hearing screenings, pediatric diagnostic and intervention services, and educational audiology. Dr. McNabb has also had rotations in vestibular and balance labs, ENT offices, schools, cochlear implant centers, and children’s hospitals. His main interests include pediatric diagnostics and intervention, central auditory processing disorders, and educational audiology. He is currently licensed in both Pennsylvania and NJ. He is a fellow of the American Academy of Audiology and holds a Certificate of Clinical Competence from the American Speech-Language- Hearing Association. Dr. McNabb is a licensed audiologist in both PA and NJ. He is also a hearing aid dispenser in both states. He concentrates upon pediatric clients. He has a speciality in auditory processing evaluations. Larry Gabbin Jr., AuD(PA #1207, NJ #953) received his Bachelor’s degree at Oral Roberts University, his Master’s degree from Drexel University College of Medicine, and his doctorate degree in audiology from Salus University. His clinical training was performed in Northern Colorado, where he specialized in diagnostic hearing evaluations and cerumen management for the adult and geriatric populations. Dr. Gabbin has also completed clinical rotations in university hospitals, private audiology practices, and ENT facilities. His main interests include diagnostic hearing evaluations, Bluetooth connectivity accessories, and community outreach. Dr. Gabbin’s passion for audiology stems from his own personal history of hearing loss and hearing aid use at an early age. He seeks to use his story to help improve the quality of life for each patient that he sees. Dr. Gabbin is licensed in the state of Pennsylvania and New Jersey. He is a Fellow in the American Academy of Audiology, and licensed to dispense hearing aids in the state of Pennsylvania. Dr. Gabbin concentrates on adult and geriatric populations, with a specialty in diagnostic hearing evaluations and Bluetooth connectivity accessories. Julie Williams, Au.D., CCC-A (PA #6579, NJ #1005) received her Bachelor’s Degree from The Pennsylvania State University and her Doctorate of Audiology from Salus University. 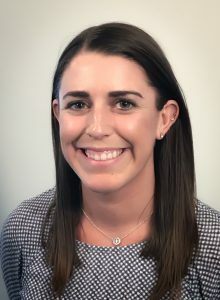 Her clinical externship was completed at REM Audiology where she performed diagnostic hearing evaluations and rehabilitation for both pediatric and adult populations. Dr. Williams has also had clinical rotations working in hospitals and private practices where she performed diagnostic testing on pediatric through geriatric patients, balance and vestibular testing, and auditory processing evaluations. Dr. Williams is a licensed audiologist in Pennsylvania and New Jersey. She is a Fellow in the American Academy of Audiology and holds the Certificate of Clinical Competence from the American Speech-Language-Hearing Association.